﻿﻿MACFE ﻿﻿is dedicated to supporting Manitoba women and families by providing education and resources that support informed consent during and after the birth of a child. MACFE Doulas draw on their knowledge and experience to provide physical comfort and emotional support. They can provide information, reassurance, make suggestions for labour progress and help with relaxation, massage, positioning and other techniques for comfort. These classes are a fun and interesting way for parents to prepare for the birth of their baby. Moms and their partners will discover safe choices during labour and birth. Birth partners will learn how to offer gentle support throughout labour, including a variety of comfort measures. 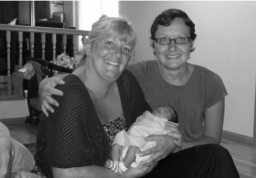 MACFE offers Doula training workshops once or twice a year for those people interested in providing consistent emotional support to women during labour and birth. The training consists of a minimum of 25 hours of classroom instruction that cover a wide range of topics.